With an 80 strong design team and a private textile archive of over 100,000 custom designs, we are recognised today as a powerful creative source. 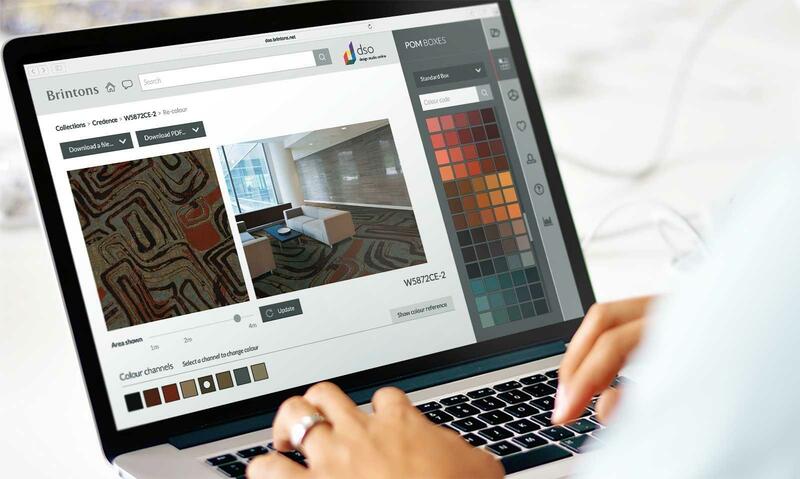 Known in the industry to challenge the way people think about pattern and colour on the floor. Design Studio Online, or DSO, allows designers and commercial customers to have instant access to collections and archives from our rich and diverse history. DSO is mobile and iPad enabled and has taken inspiration from sites such as Twitter, Instagram and Facebook to create interactive aspects such as "likes" and "tagging" to bring our clients the most user friendly and inspirational tool in design. Start creating your own unique carpet designs now. Please complete the form with your registration details below in order to register for Brintons Design Studio Online. To register, you must first read and agree to our terms and conditions. To confirm this, please indicate by ticking the field below.